For years, ABPC Law has been regarded as one of Ontario’s top personal injury law firms. With millions of dollars recovered for our clients, our results speak for themselves. 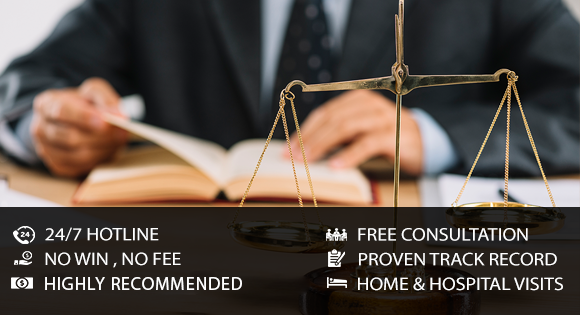 Our expert lawyers are known in court rooms throughout Ontario, and are known for fighting and winning some of the most challenging cases in the country. If you were injured in the province of Ontario, you deserve compensation for your injuries. At ABPC Law, our specialists are available 24/7 and our consultations are absolutely free and have no obligations. The personal injury lawyers at ABPC Law are experts in their field and have over 125 years of combined experience fighting for the rights of injury victims. Our lawyers have courtroom experience that comes from representing clients at various levels of provincial courts. We will never back down from a fight or be intimidated into accepting a smaller settlement than what a client is truly entitled to. Having worked for insurance companies in the past, some of our lawyers are well-versed in opposing legal teams’ strategies. This allows us to stay one step ahead. Attending various conferences and educational seminars gives our lawyer the edge by staying informed. Our professional support staff works to get the best results possible for our clients, and can assist you in over 25 languages. We return all calls within 24 hours at the latest, and strive to ensure that our clients are well-informed of the status for their case. ABPC Personal Injury Law Firm is dedicated to our clients and our communities. If you have been injured and don’t know where to turn contact us and we protect your rights and ensure that you receive the maximum compensation for your injuries. Personal Injury Law is our Passion. Our Experience is our Driving Force. Client Satisfaction is our Reward.